Yesterday's deadline to sign franchise players to long-term extensions passed, with the Patriots and disgruntled cornerback Asante Samuel unable to strike a deal. The sides never were close to reaching an accord. Samuel's camp was proposing a frontloaded contract, with the focus on the first three years. The first three years of any deal are considered key, because players are generally assured they will earn the money even though NFL contracts aren't guaranteed. Samuel was eyeing around $30 million in the first three years. Meanwhile, the Patriots were offering a more standard long-term contract, one that included a significant total of bonuses but that wasn't as frontloaded. The team's most recent offer included $13 million in bonuses, and over the length of the contract would have averaged about $6 million per season. But because there were high base salaries in the final years of that proposal, Samuel would run the risk of never collecting that money. Only Samuel has the answer, and he wasn't available for comment. "Obviously, he's disappointed," said his agent, Alonzo Shavers. "But he's a professional, and he's aware of the team he plays for, the situation he's in, and his reaction was what it should be, one of continued professionalism." Shavers said he and Samuel "have a game plan and we're going to continue with the game plan we have." The options within that game plan are limited. Samuel could sign his one-year tender offer, guaranteeing him a $7.79 million salary. In that scenario, Samuel would hope to put together another solid season and hit the unrestricted free agent market next offseason. Another possibility is that Samuel could sit out until the 10th week of the season, which would eliminate some risk of injury, give him another year toward his pension, and set himself up for unrestricted free agency. In June, Samuel said he planned on withholding his services until the 10th week of the season. Shavers was asked yesterday if that was part of the plan. "That option remains on the table for him," he said, before noting that Samuel will make the decision after consulting with family. Regardless of what Samuel decides, the Patriots hold an important trump card in that they could assign their franchise tag to Samuel next offseason, restricting his ability to hit the market. Safety Eugene Wilson, linebacker Tedy Bruschi, and receiver Reche Caldwell are arguably the team's three highest profile players eligible for free agency after the 2007 season, and it's hard to imagine the Patriots placing the franchise tag on any of them over Samuel. From an overall perspective, yesterday was a key date on the calendar because it meant that Samuel's main goal was not reached. On Feb. 16, when the Patriots placed the franchise tag on Samuel, Shavers said: "We don't look at it as a bad thing. This is a step in the process in working toward a long-term deal." Yet now the sides can't finalize a long-term deal until after the 2007 season. "We knew there was a possibility of the deal not taking place," Shavers said. "The two sides weren't willing to move or compromise. We take it in stride, sit back, and we'll talk about how we move forward." 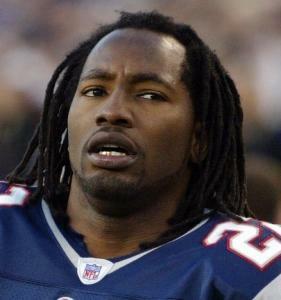 Some of the initial discussions between Samuel's camp and the Patriots came during the 2006 season. Since that time, the market for cornerbacks took several twists and turns, with one of the final shifts coming June 25 when the Chicago Bears agreed to a five-year, $28 million contract extension with Nathan Vasher. That deal included $14 million in bonuses, and because a strong comparison could be made between Samuel and Vasher, the extension, in some ways, helped solidify the Patriots' stance. Of the seven players assigned the franchise tag, three signed long-term extensions (Dwight Freeney, Charles Grant, Cory Redding), two inked the one-year tender offers (Josh Brown, Justin Smith), and two remain unsigned (Samuel, Lance Briggs). While it might be a coincidence, Samuel and Briggs had the most publicly contentious situations. The Patriots officially report for training camp July 27, and the team's cornerback position would take a hit if Samuel is not present. Third-year veteran Ellis Hobbs and 11th-year veteran Chad Scott headline the cornerback corps, with Randall Gay and Tory James two of the other experienced players in the mix. If Samuel doesn't report, it could lead to the Patriots taking a longer look at moving one of their top safeties -- Eugene Wilson or 2007 first-round draft choice Brandon Meriweather -- to cornerback.